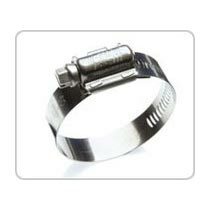 Obtained from our rich experience and vast knowledge as a Supplier, Exporter and Importer, we have been able to offer the best quality Hi Torque Stainless Hose Clamps, made with high quality raw material. Our knowledgeable staff checks and ensures the quality. These can bear a high level of twisting force. We provide them in several specifications as per the ever-evolving needs of the customers. Also, we have a very good distribution network enabling us to deliver the item all over the country within a short time.